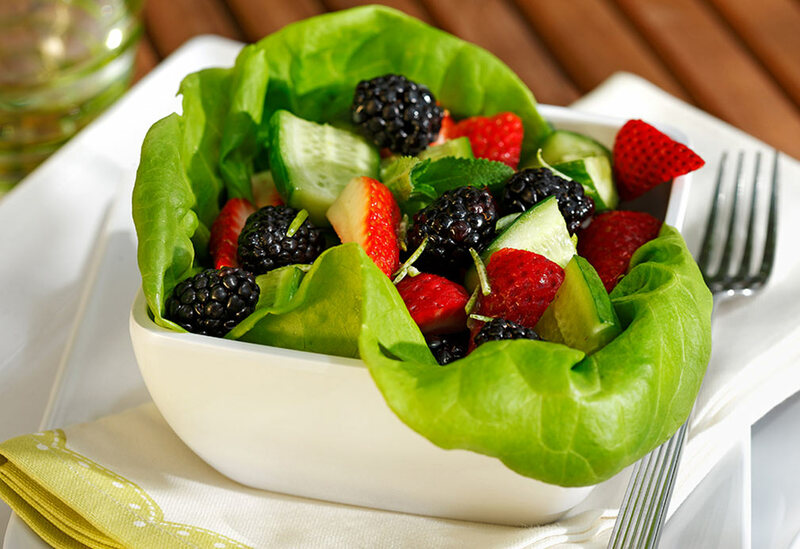 Make this colorful salad when berries are at their best. The zesty dressing will stay free-flowing in the fridge thanks to canola oil’s low saturated fat content. 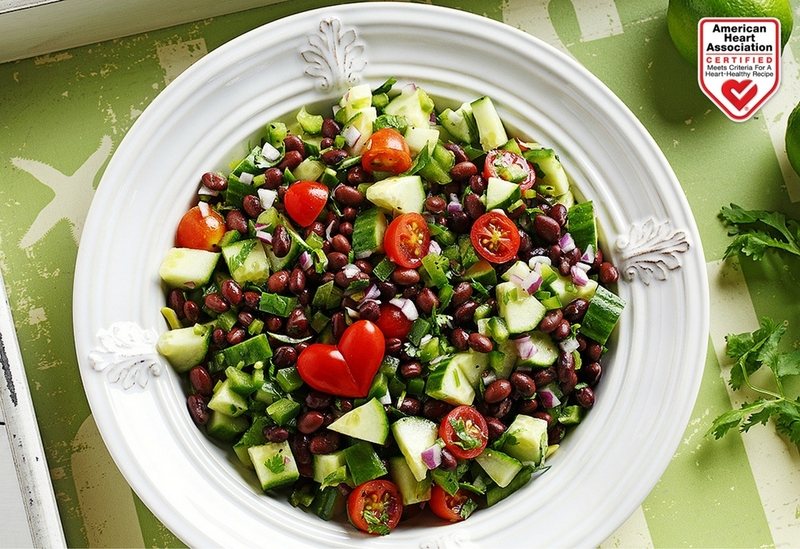 Be sure to place the fennel on the salad after the dressing so it doesn’t turn pink. 1. 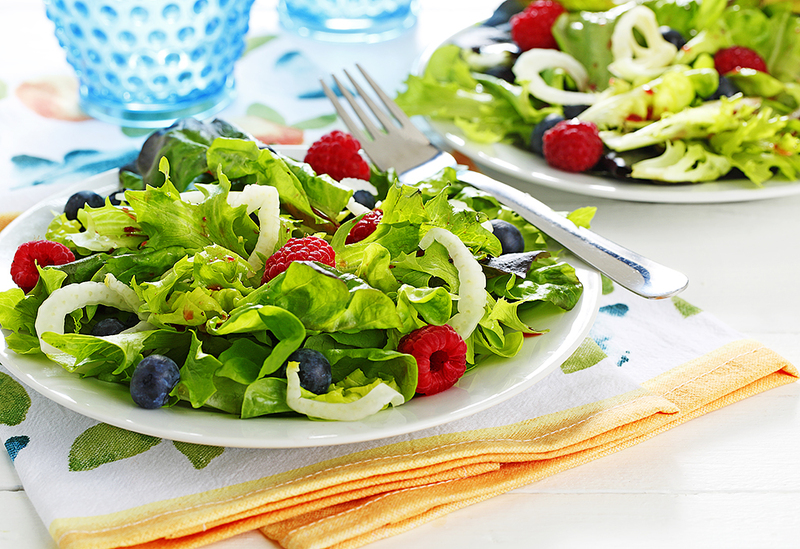 Place the spring greens on 4 salad plates; top with berries and set aside. 2. In a jar, combine pomegranate juice, canola oil, vinegar, sugar, ginger, salt, and pepper; secure with lid, shake vigorously until well blended. Spoon 3 Tbsp (45 mL) over each serving and arrange fennel around outer edges of each serving. 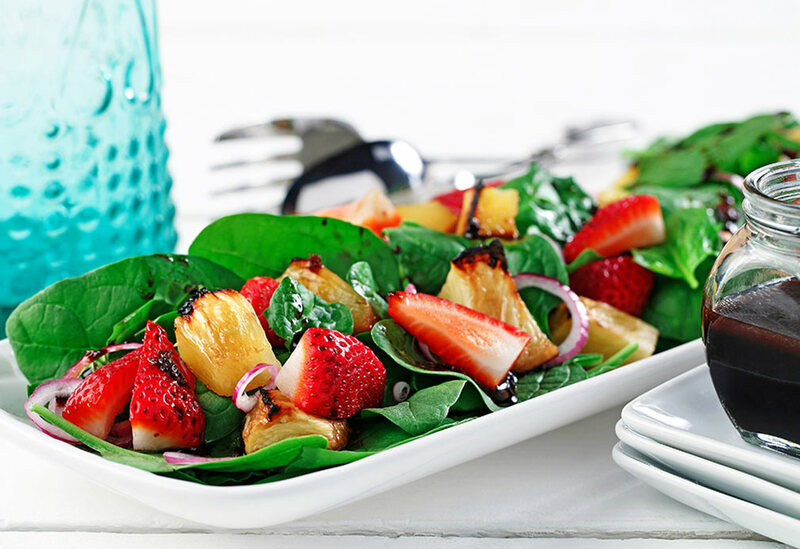 Serving grilled fruit with fresh fruit not only makes a great-looking combination, but also provides two layers of flavor. See the recipe video below. Chayote fruit are grown in warmer climates such as Mexico. They are mild in flavor with a crisp texture. 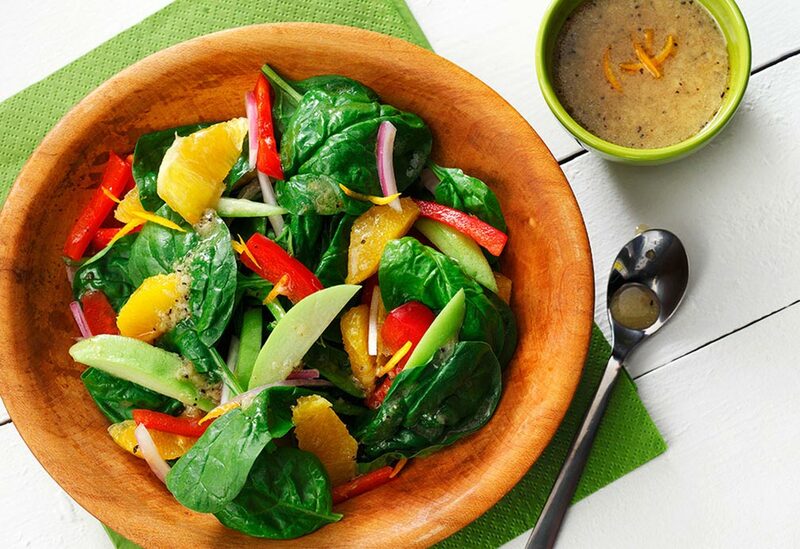 Canola oil lets the vinaigrette's lively taste come to the forefront.